In recent years, demand of Energy to make comfortable Environment for humans has increasing worldwide. Over use of Non-Renewable Energy for heating and cooling increases the level of greenhouse gas and decreases fossil fuel sources. Energy storage becomes key issue in engineering applications and facing trouble in storing of Renewable Energy. 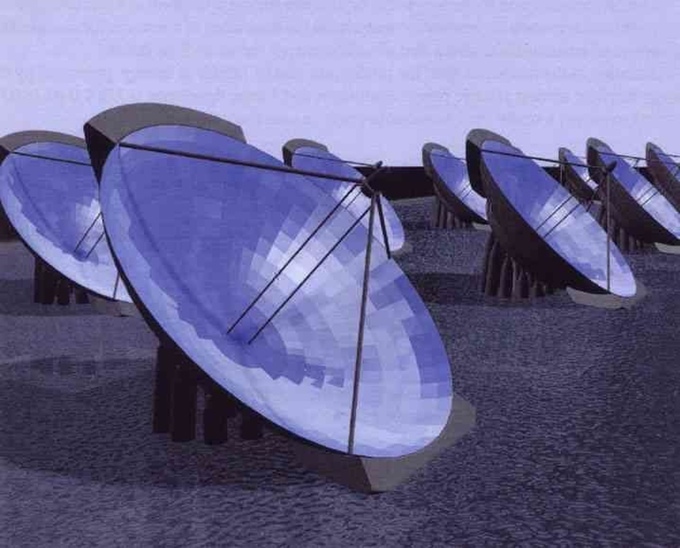 Solar thermal energy has the potential to play a significant part in the generation of electricity, as well as helping to meet the energy requirements of energy-intensive industries. 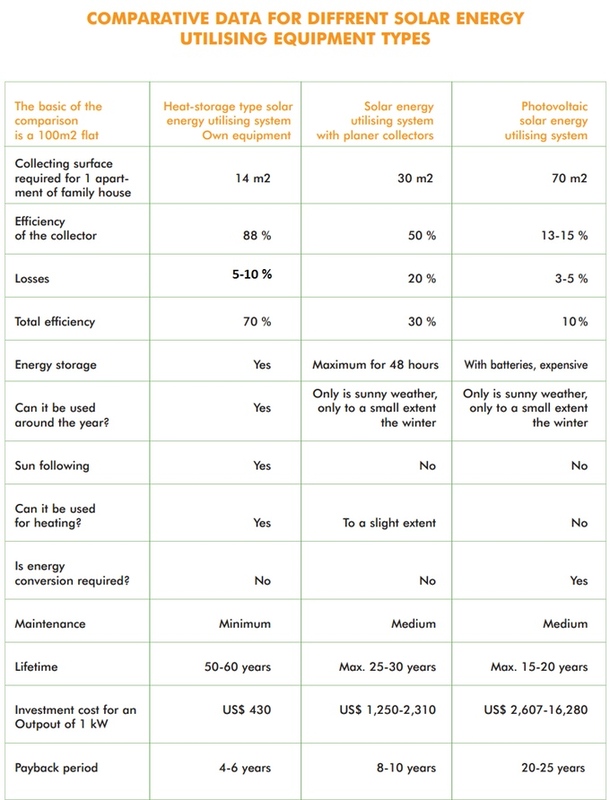 One of the current limitations is that solar thermal energy is only available when there is sunlight, preventing solar-generated electricity from being produced during cloudy periods or overnight. 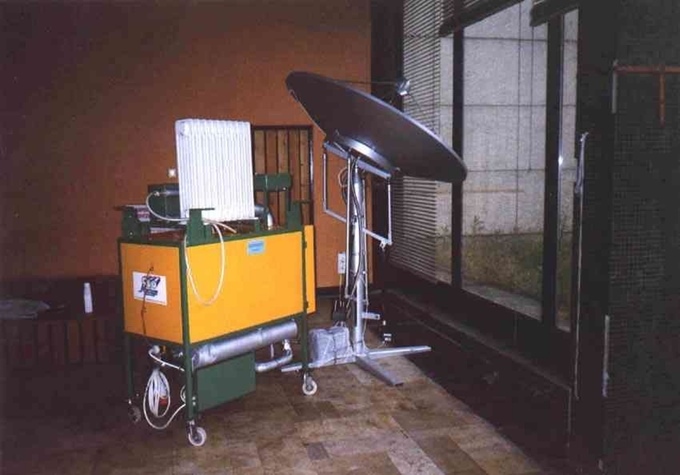 The Portable (Mobile) Heat Energy Storage Systems is a unique heat and electricity storage system and are capable of utilizing the waste heat of traditional power stations, and these mobile systems will provide low-cost heat and electricity to settlements located at a great distance from existing power plants, or without connection to a local network of electrical power supply wires. Now, the supporters of Professor Dr. G.G., want to build a new and bigger prototype of New Energy Storage Tank later this year. This project is currently live at Kickstarter for funding. Internationally recognized physicist professor from Europe, Inventor Dr. G.G. 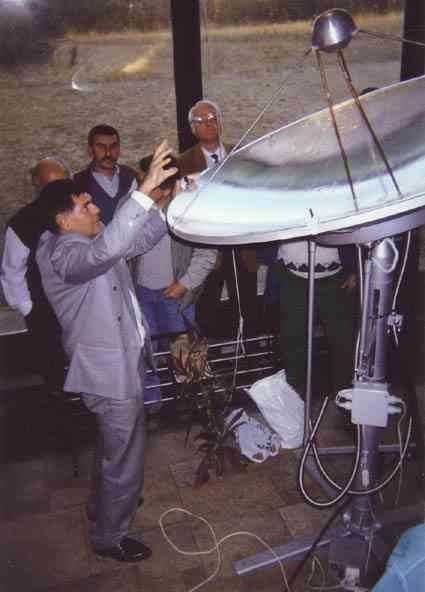 has more than 35 years of experience within advanced and high technology solar thermal projects. He has invented an Advanced Portable Solar Heat Energy Storage System with some important changes in the existing solar thermal technology to make it more efficient and convenient for users. Phase Change Materials plays a vital role in storing of passive solar energy by undergoing thermal and chemical reaction. The crystalline heat storing medium is heated in a closed chamber. While it slowly melts, it accumulates large amounts of heat. This heat, stored in the liquid phase substance, is discharged when the liquid heat storing medium is chilled to crystallize. There are many possible applications of new energy storage system in private consumption (such as households, hotels, schools, hospitals, etc) with heat temperature around 285 to 290 deg Celsius. But the system can able to operate (work) safely even on 150 Celsius. The industrial area needs 300 Celsius up to 500 Celsius or more 900 Celsius. The operational cost (price) of our Electrical Power Plant run by solar energy is only 2.2 cents (USD) per kW-h against the conventional power plants price which is 2.8 cents (USD) per kW-h. 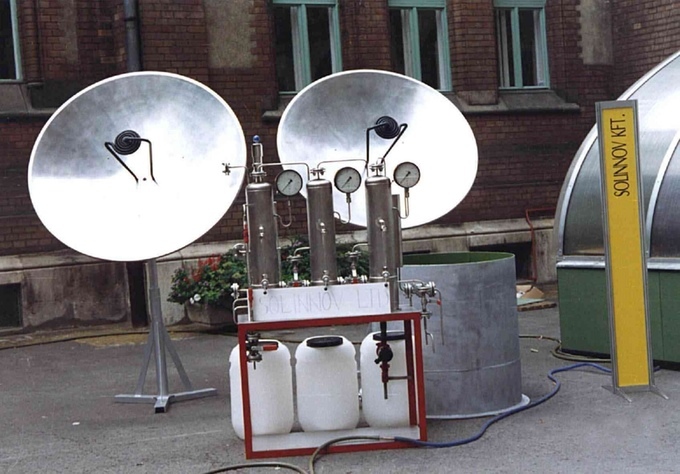 The specific heat capacity of solar energy products is around 1,785 and 1,822 kJ/dm3, or 427 and 436 kcal/dm3, which were particularly excellent values even on a global scale. The storage vessel is made of ordinary steel as it creates safe defender strata when contact with the special phase changing material. The dish mirror material is opus rosin (plastic) instead of metal or steel.